NAI Isaac brokered the sale of 450 John C Watts Drive in Nicholasville, KY. The industrial facility is comprised of 3 buildings totaling 12,179 SF on 2.1 acres. Located off South Main Street in the Enterprise Industrial Park, the 3 building facility was sold to Miller Property Management, LLC. Al Isaac and Jamie Adams of NAI Isaac Commercial Properties represented the Seller, Fred & Patricia Chambers, and the Buyer was represented by Nina Tewell and Richard Sims of Rector Hayden. Keithshire Place welcomes Phillip Derifield Massage Therapy to the center. The therapy facility will be located in Suite 3 and will open in mid-May. 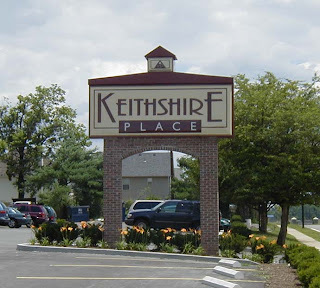 Keithshire Place is a 105,792 SF mixed use neighborhood shopping center off Clays Mill Road on the southwest side of Lexington approximately 1½ miles from Man O’ War Blvd. Jim Holbrook of NAI Isaac facilitated the lease.